Take the excitement of building to totally new and exciting heights with Struxx Robotrixx This 502-piece construction system is a technological revolution that empowers you to build bigger and on a larger scale. Struxx design uses the latest construction technology based on three basic pieces a ball, socket and rod that click together, offering an unparalleled, larger than life construction system. With cool high tech features like the gearbox, motion detection, sound and light, make your Struxx design shine and move. 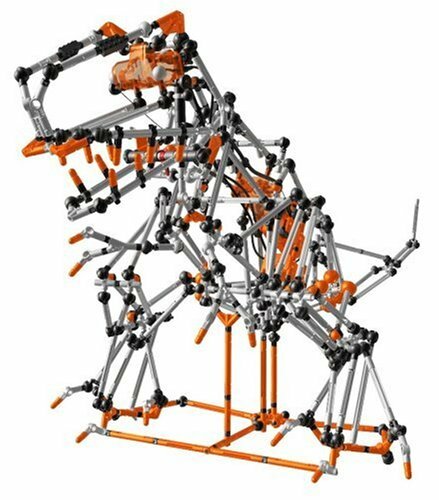 Dynamic, hyper flexible and strong, the Struxx system offers lots of building ideas, including a jaguar, shark and a T-Rex that really roars. Great for beginners and experts alike.